They are both on ebay. This one listed above is the exact one that I purchased. The one below is 60$ but it is also 100% authentic. Its windage and range adjustments can be rezeroed. Big plus! Although the one above does claim to be resero-able its made in china and did not for me. Maybe I just was unfortunate enough to get one from older stock. The one below is made in Russia. The same people now make a PEM which I have been really drooling over. I really think the PEM was the best looking of all the MN snipers. All of these scopes were in the 500+ range when I was first shopping for one and they have come down in price a lot because there are now about three dif manufactures selling them now. Not cheap... but I like steel structure! Thank you again! 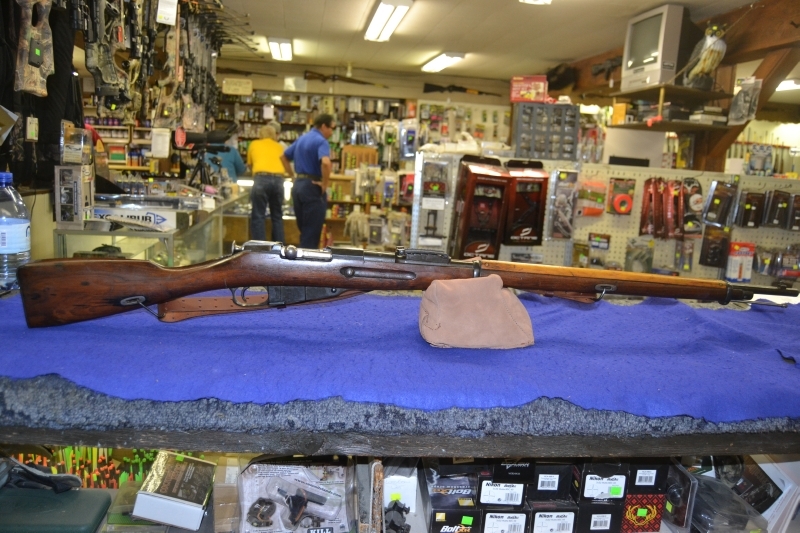 How about my latest Mosin. A Finn captured Remington M91 made 1916-1918? Nice find! I would love to see more pics when you have them. A friend of mine has a 1917 Remington that I have been jealously drooling on for the last couple years lol. That is some sweet engraving. Is this a regular mN stock or more of a sporting stock like the ones that Boyds makes. Looks to me like a normal Mosin stock. What a talent you have! It's actually a surplus stock I had purchased from AIM Surplus. Wanted to make it mine, so I refinished it and had a buddy of mine from HANGFIRE laser that design on it. I'll post a pic once everything is put together. Thanks for the feedback all. A few pics of the finished project.